911 dispatch tapes from Saturday’s fatal cougar attack show a distraught survivor worried about his friend, and passers-by who stopped and tried to help. 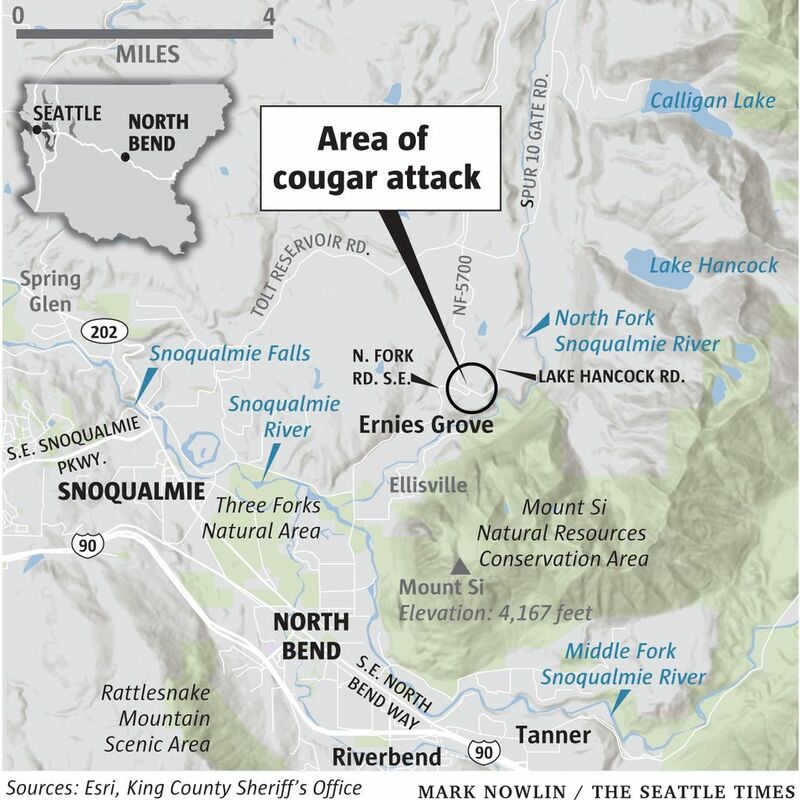 Nearly 30 minutes of 911 emergency calls released Tuesday detail in real time the drama of last Saturday’s fatal cougar attack in the Cascade Mountain foothills. 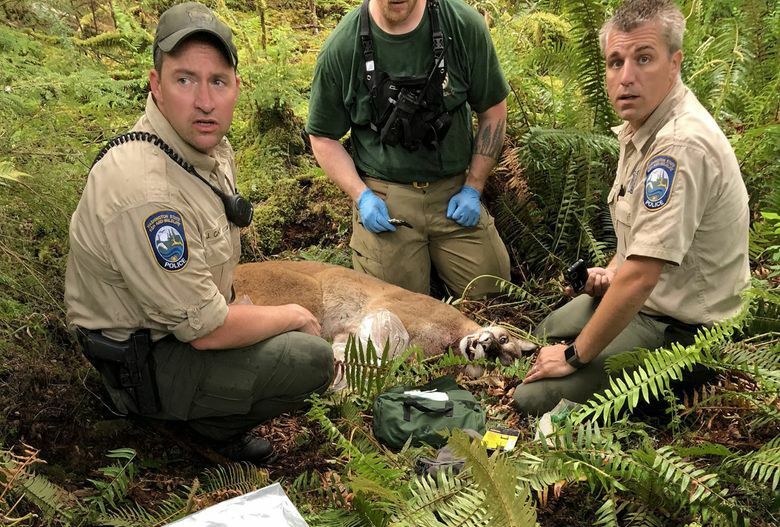 The first call for help to the King County Sheriff’s Office, at 10:42 a.m., came from Isaac Sederbaum, a 31-year-old Seattle man, his ear mangled and his head, face and neck bloodied after being jumped by the big cat. Sederbaum had ridden his bicycle down a gravel logging road, looking for cellphone coverage. The call gets through for a second, just enough to register with the dispatcher, then drops. Five minutes later, Sederbaum tries again. Again, it lasts only a second. Then, at 10:54, a call lasts long enough for the dispatcher to hear wind in the background and one scream: “Help!” Then that call is also lost. When the injured Sederbaum finally gets through to 911 dispatch Saturday morning, all he knows is that both he and Brooks need help. They are isolated — “kind of in the middle of nowhere,” is how the dispatcher put it — and Sederbaum is scared. A truck arrives — this one with a man named Matt and his companion, Meaghan, who he says is a registered nurse. They stop to help Sederbaum. Matt and the dispatcher pick up the conversation.